Happy Magisterium Day! 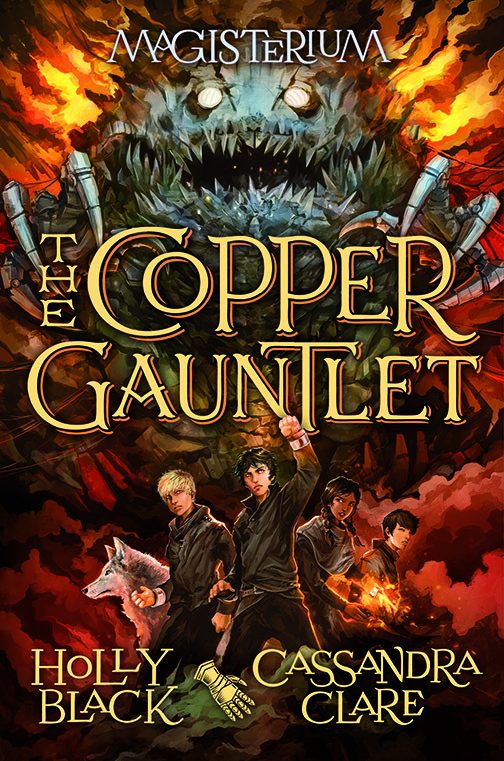 And here’s a present from Cassandra Clare: the cover of The Copper Gauntlet! Magisterium: The Copper Gauntlet will be released in September. Aww! Look at little Havoc! Can wolves grow that fast?